The Jabarkhet Nature Reserve is a formidable example of how private national parks can be a viable economic model for land owners and local communities. There’s a bee buzzing around me but I’ve been told that if I swat it, it’ll bite. We’re trekking up a narrow trail, flanked by oak and pine trees, to reach the Flag Hill–a 2000m elevation in the Jabarkhet Nature Reserve (JNR) in Uttarakhand. Tibetan prayer flags flutter at this summit and their bright colours compliment the lush green, unspoiled forest around. On a clear day, we would see the Himalayas, but today clouds have descended into the valley and the altitude has hushed the nearby cantonment town of Landour. The presence of this 110-acre private nature reserve sparks a discussion India is yet to have– that of private vs public national parks– even as numerous individuals donate and buy land to preserve biodiversity. Government control over natural resources is universally unchallenged and the mere suggestion that national parks can be removed from government ownership is, to most, a shocking and immoral proposition.The prime fear is that private owners will only care about making a profit, not conserving the environment or beauty of the region. But JNR, Save Animals Initiative (SAI) sanctuary in Karnataka, or the efforts of Jadav Payeng (also called the Forest Man of India) show that individuals, in fact, are concerned with conservation and do so, while incurring significant personal costs. In the case of JNR, the history of the land can be traced to the mid-1800s as it changed owners from the British to Indians. In 1973, the estate was divided between three Jain brothers, one of whose descendants, Vipul Jain, now owns the private nature reserve. 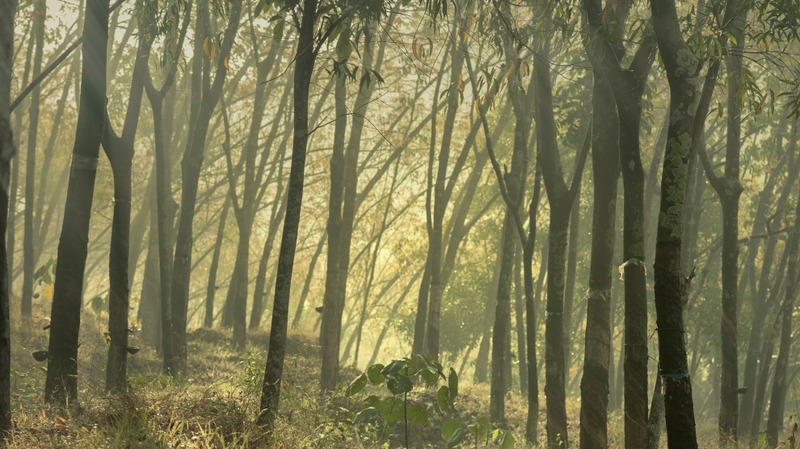 As the idea of creating a private reserve took form, the owner, with the help of a conservation professional, Sejal Worah, put an end to the indiscriminate grazing, wood-cutting and lopping of trees that was destroying the region’s biodiversity. The forest was uprooted of weed, 400 kg of trash was removed, several indigenous saplings were planted and three waterholes were developed to augment water supply for wildlife in the area. As a result, JNR’s nature guide, Virendra Singh says, “More oak trees are bearing acorns which has facilitated the return of the Himalayan Black Bear.” In addition to the Himalayan Black Bear, JNR has managed to preserve 130 species of birds, 100 types of mushrooms, ferns, shrubs and is often visited by leopard cats, leopards, porcupines, barking deers and other animals. Yet the story of JNR’s conservation doesn’t clear another common misconception: that private reserves are made to be enjoyed by a select few and if public entry is allowed, it is at a much higher cost. This argument is myopic as it ignores the amount of tax citizens pay for national park conservation whether or not they visit them. This lifelong tax, which is coupled by an entry fee in almost all national parks in India, far exceeds the possible market price of a once-in-a-life­time visit to it. The 350 rupee entry fee for JNR, for example, is comparable to any other national park in India, and there are no hidden bills footed by the country’s taxpayers. This example is sufficient to prove that profit is a great incentive to conserve the environment and that environmental conservation and profit making are not mutually exclusive. In fact, it has taken JNR longer to record profits because its founders, defying popular notions, are far more focussed on conservation: There are neither lodging facilities inside the reserve nor tuck shops for quick snacks. A final argument against private nature reserves is that it will inhibit natural education or the study of natural diversity. Nothing could be further from the truth. A profit-making natural reserve, unlike the one run by the government, has a greater incentive in ensuring that the biodiversity of their region is studied, documented and promoted so as to attract not just tourists but also educators and researchers. This is why, JNR has conducted numerous surveys on the birds, trees, and insects in their environment and is constantly launching products (such as a paid app to identify the birds in the nature reserve) to popularise their findings. The government might have long been the custodian of national parks in the country but other more efficient alternatives exist. The Jabarkhet Nature Reserve is a formidable example of how conservation can be a viable economic model for land owners and local communities. It shows that we don’t need the government to give us national parks. Apekshita Varshney is a trained journalist who has worked with media organisations, non-profits, and the Government of Maharashtra. She is now a freelance writer which gives her time to read, travel, and write fiction. 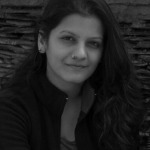 She also contributes to Techweek and People's Archive of Rural India.